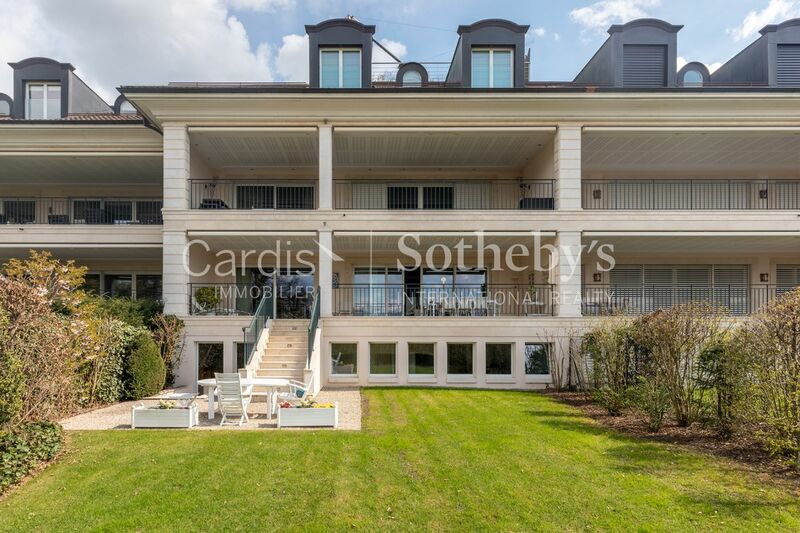 This exceptional apartment is located in a fully secured residence with caretaker in Cologny. 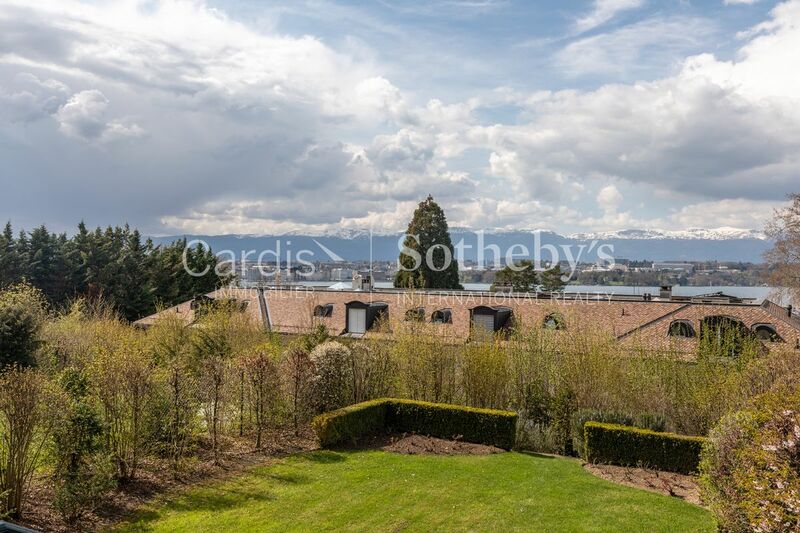 Nestled in the heart of a beautifully wooded park of about 7,000 m², facing Lake Geneva and the Nautical City, this property is in an idyllic location. 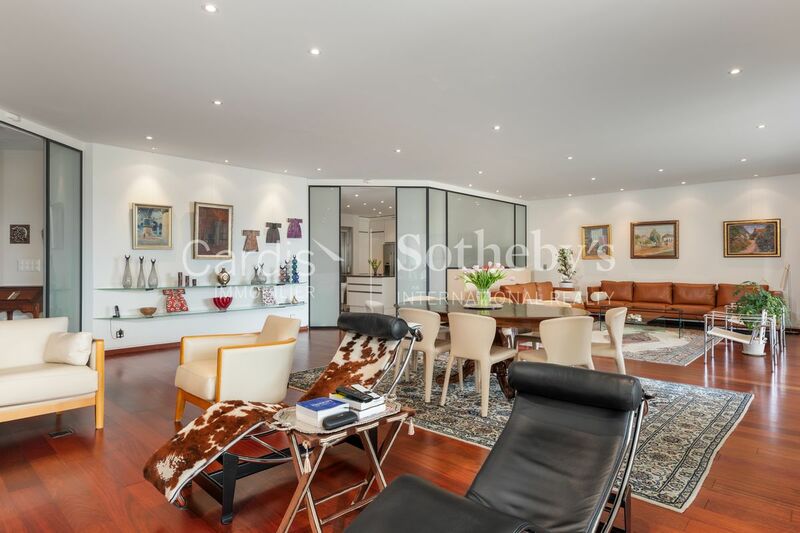 Rare on the market, it offers approximately 440 m² of living space on 2 levels and served by a private elevator. They have impressive volumes thanks to its living room / dining room of more than 90 m². The atmosphere in this apartment constantly plays on the perspectives between the different terraces, gardens that surround it and the interior spaces thanks to its large and wide windows. The incomparably elegant interior will satisfy customers looking for spacious living spaces and plenty of storage space. 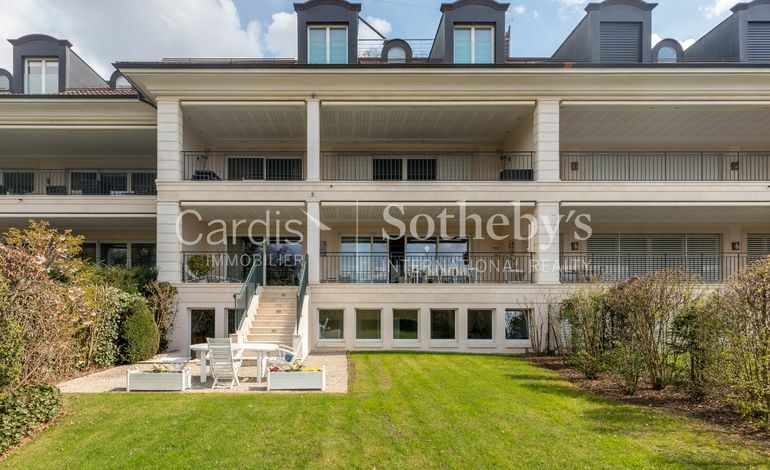 This sumptuous apartment has a beautifully furnished terrace of more than 40 m² and a spectacular view of the Lake and the Rade de Genève. 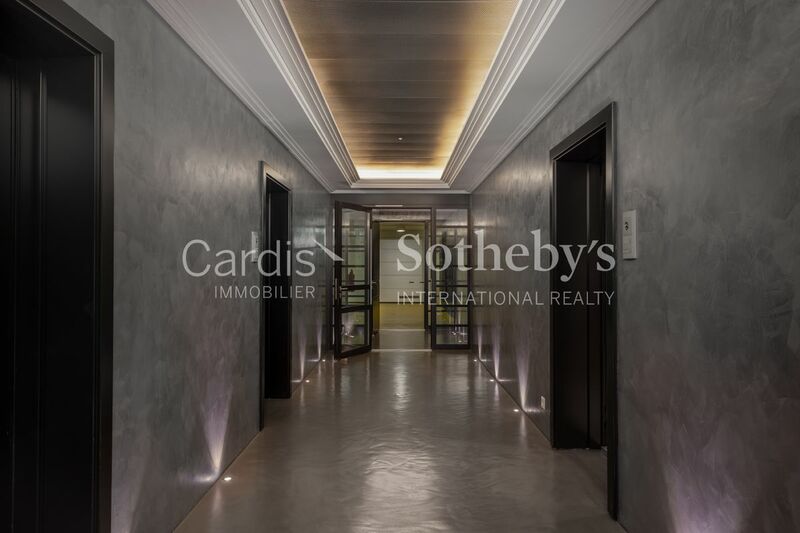 It is a unique property that will delight its future owners, combining an extraordinary situation, top-of-the-range services and large volumes. 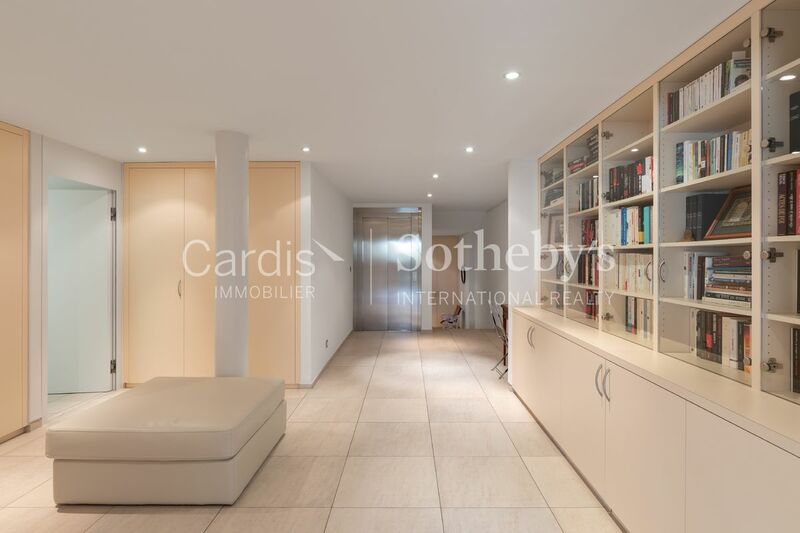 Three underground parking spaces and an outside parking space complete this property. At the first visit, the charm operates and it is impossible to resist it! 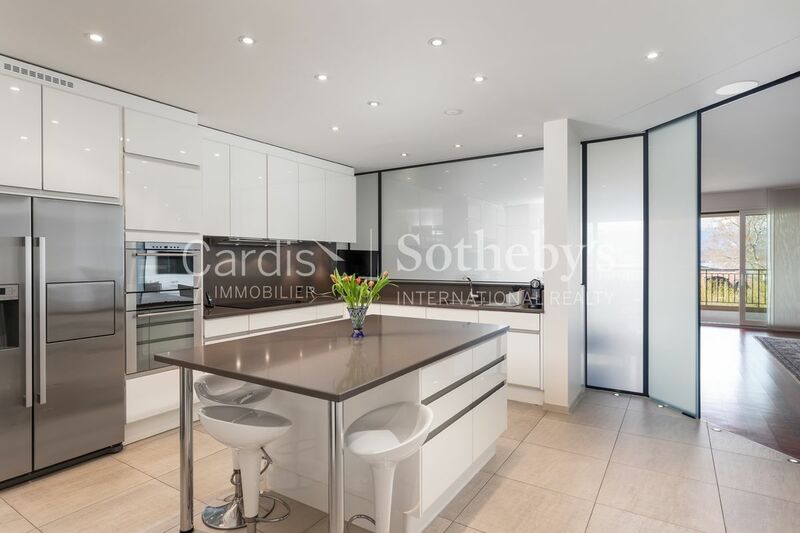 Built in 2008, this luxurious apartment benefits from services and materials of the highest standard. - A distribution hall with storage space. 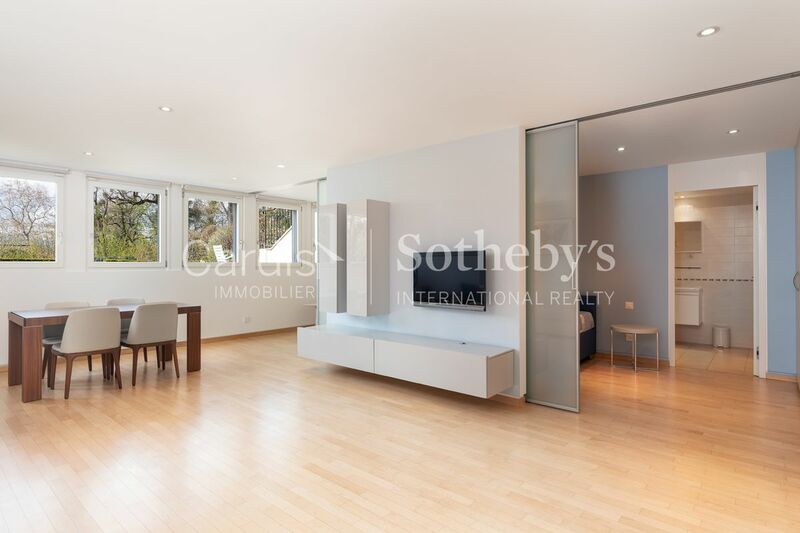 - A master suite with bathroom, WC and double basin with access to the rear garden. 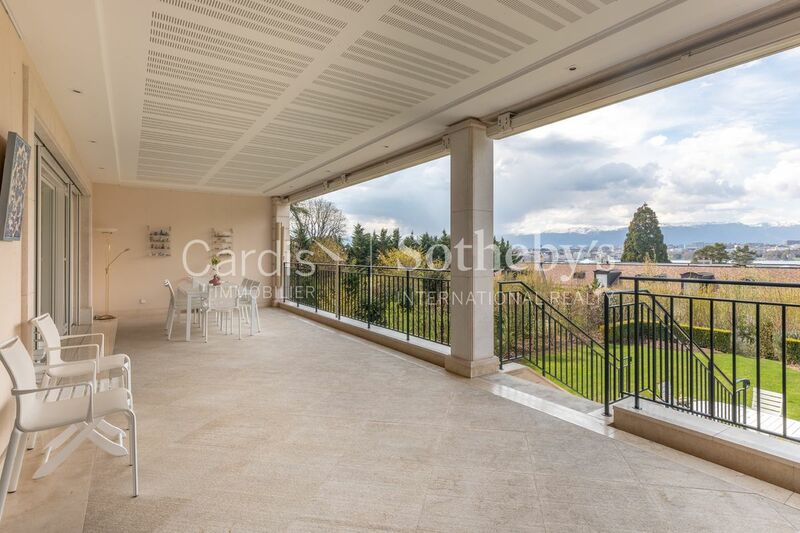 - A garden on the forest side with independent access.